"Trickster, cynic and liar-such is Rocambole. Why is he devoted to me? And for how much longer?" These two plays adapt Ponson du Terrail's sprawling saga started in 1857 featuring the first modern hero. Paris. Mid-19th century. As the old aristocracy dies off, vast inheritances become the object of a colossal struggles between the forces of good and evil. 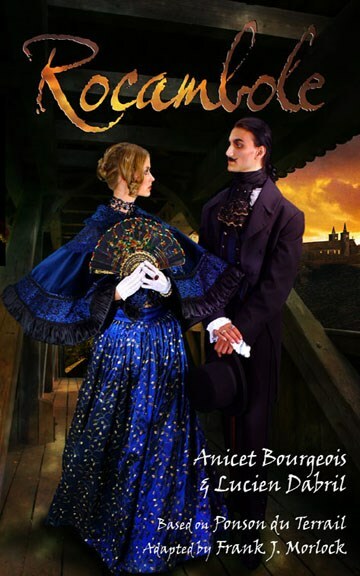 The stalwart Comte de Kergaz and the dashing reformed courtesan known as Baccarat clash with the infamous Club of the Jack of Hearts; their leader is none other than Armand's half-brother, the evil Andrea, a.k.a. Sir Williams. Standing alone in the midst of this struggle is Rocambole, a resourceful young man who owes allegiance to none but himself and whose actions will eventually tilt the balance. The immortal hero created in 1857 by Ponson du Terrail stars here in two plays, one written contemporaneously in 1864 chronicling the fall of the Jack of Hearts, and the other, a modern adaptation penned in 1951 revisiting the very first exploits of a young Rocambole. Both are translated by playwright Frank J. Morlock.